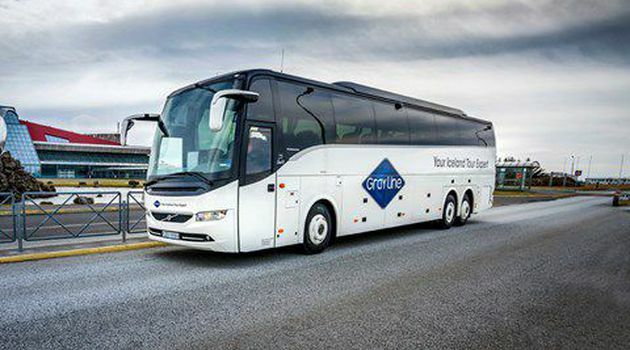 The Airport Express is a prompt and reliable transfer service between Keflavik Airport (KEF) and Reykjavik City. Multiple departures are available each day around the clock, all year round. The buses depart from just outside the airport arrivals terminal traveling directly to Reykjavik. The destination of the bus is the Skarfabakki Bus Terminal, but a complimentary drop-off is offered upon request at Safnahúsið/Culture House bus stop in the city center. When you have collected your luggage and passed through customs and immigration if required, please continue to the arrivals hall of the airport. There you will find our staff with signs for "Airport Express - Passenger Pickup" and they will direct you to the correct bus. The buses are modern, comfortable and outfitted with complimentary WiFi. Please note that the bus has fixed departures. We recommend booking a bus that leaves the airport approximately 60 minutes after your flight arrives, to give you time to collect your luggage and go through customs. In case of delayed flights we will always accommodate our passengers to the next available coach departure.